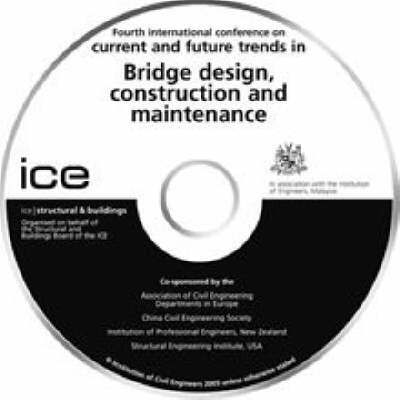 This book presents the proceedings of the fourth international conference on Current and Future Trends in Bridge Design, Construction and Maintenance, held in Kuala Lumpur in October 2005. This collaboration between the Institution of Civil Engineers and internationally renowned bridge engineers has culminated in the production of an extensive reference, an exchange of innovative experience, creative thinking and industry forecasts. This book highlights the fact that bridge engineering not only requires knowledge and experience of bridge design and construction techniques but must also deal with the increasing challenges posed by the need to maintain the long-term performance of structures throughout an extended service life.It demonstrates that in many parts of the world natural phenomena such as seismic events can cause significant damage to force major repairs or reconstruction and therefore it is appropriate that the first plenary session of this conference is entitled Engineering for Seismic Performance. Comprising 48 key papers from over 20 countries, this book reflects the current global interest in bridge engineering and highlights the contributions and significance of 21st century bridge engineers on society. This book is essential to practising civil and structural engineers in consulting firms and government agencies, bridge contractors, research institutes, universities and colleges. It is of importance to all engineers involved in any aspect of the design, construction and repair, maintenance and refurbishment of bridges.